Riverwood Cottage — A cozy, riverfront cottage on the banks of the Russian River in Monte Rio, California. Sit in the hot tub, surrounded by tall redwood trees, looking out over the lawn, summer beach and river island. Riverwood Cottage has everything you need to enjoy a relaxing and refreshing river vacation. 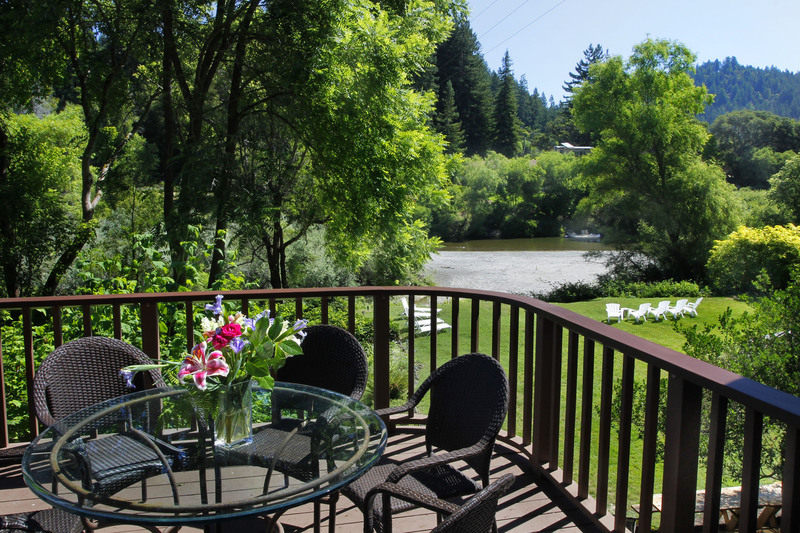 Bring your dogs — this Russian River vacation rental is pet-friendly! Start your next vacation now! Instant Booking Available — Book Now!